The red-naped sapsucker [Sphyrapicus nuchalis] is a medium-sized woodpecker common to the lower elevations of the Rocky Mountains. They drill holes in trees and feed on sap as it wells into the holes. They also eat insects, seeds, and berries. This male was chipping holes into a ponderosa pine. Link. Published on April 21, 2013 by Mark Johnston. 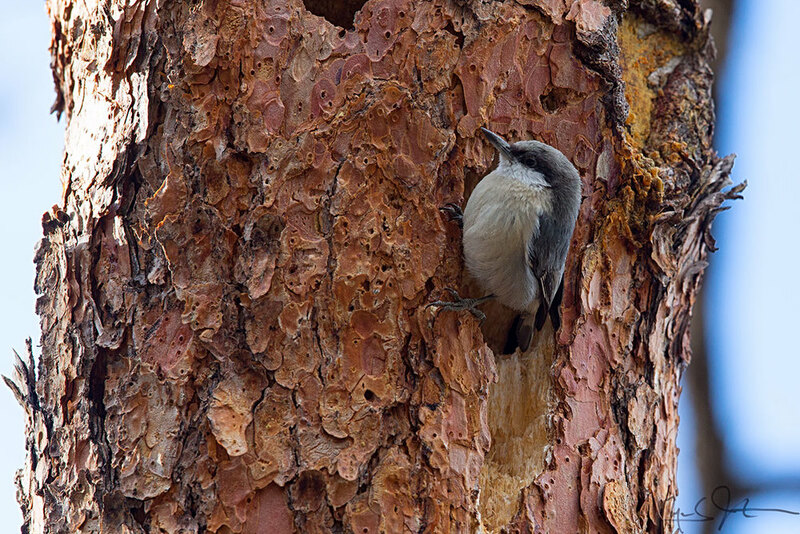 A Pygmy Nuthatch, Sitta pygmaea, enlarging a hole in a stump of Ponderosa Pine. 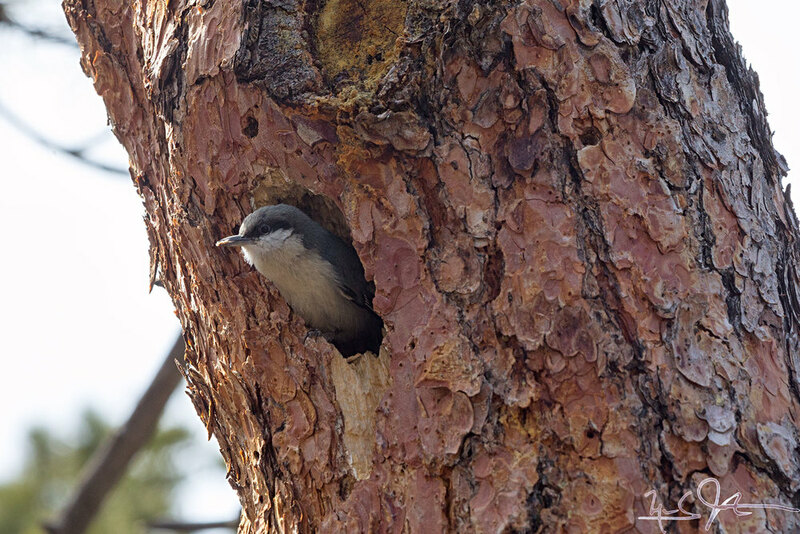 Pygmy Nuthatches are very acrobatic and can be seen climbing the trunks and branches of trees in search of insects and seeds. Alternating digging out the hole like a woodpecker and bringing the chips out and releasing them with a vigorous head shake. Link. Published on April 14, 2013 by Mark Johnston.